Welcome to our new blog and the new home of EChatter. Our blog will be updated weekly (maybe more) with the goings-on at the shop and new products. 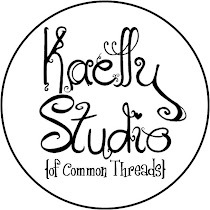 We are gearing up for some changes at Common Threads and this is just a small step in the right direction. 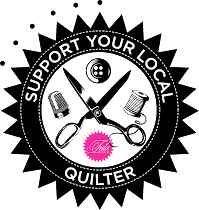 With this blog we will be able to share more photos with you, create online demos, and provide links to some of our favorite quilt related blogs and videos. This blog also allows you to comment directly on what you see...and please do! This blog is for you and we want to know what you want to see. We only have a couple kits to show from October...like I said early, harvest kept us quite busy this year. 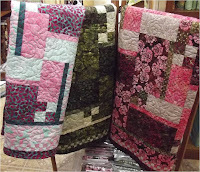 <---- Blossoms comes in three different batik color ways and is a really simple and fun quilt. <---- Boardwalk used the Wonky Block technique and comes in beautiful blue and yellow batiks. <---- Jovial uses a gorgeous cream background with three dimensional trees and pinwheels. This is a quilt that really must be seen in the shop, the picture does no justice. 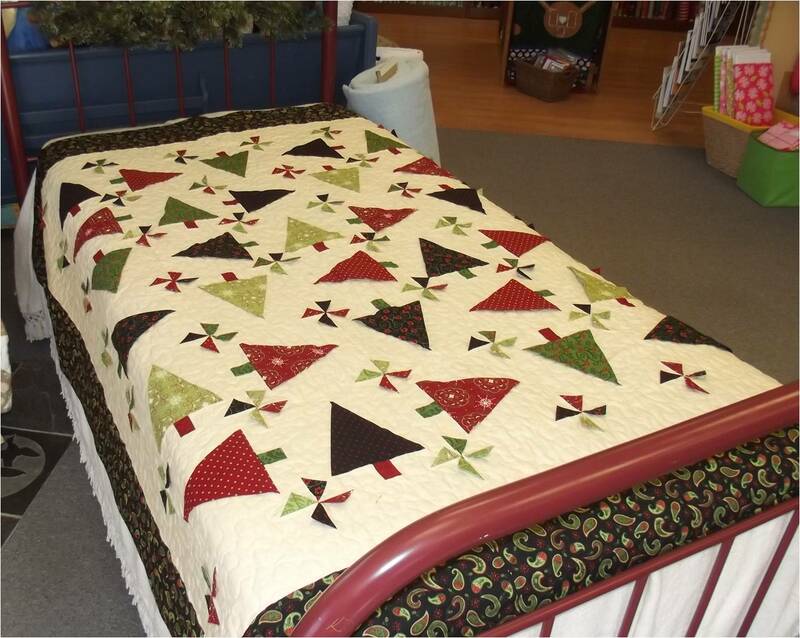 Come check it out and see why this is one of our favorite Christmas quilts. 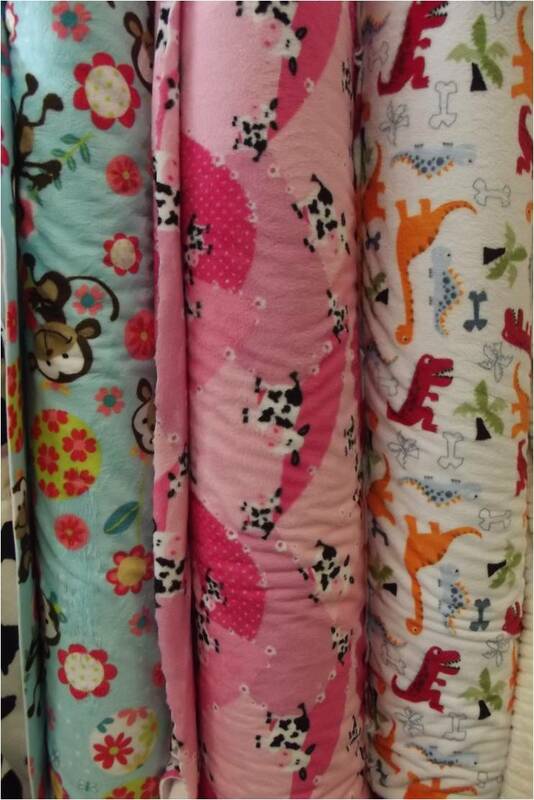 We added three new printed Shannon Cuddle Prints to our collection...monkeys, cows, and dinosaurs. If you're looking for a cute backing to your kids quilts these are PERFECT! We also added some fun modern/floral prints. The line is called Bella Flora. 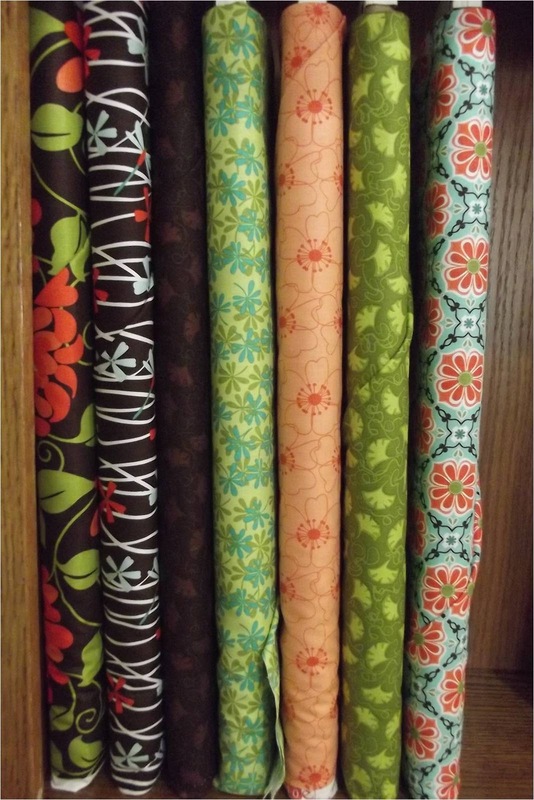 We are working on a kit with these fabrics that will be introduced during the next Thrifty. These fabrics are great for bags too! Not pictured - We added some more batiks and 30s to our collections. Slash Your Stash - Choose from 16 attractive pieced and appliqued designs from the pages of McCallas Quilting. Spotlight on Neutrals - If you think neutral fabrics are only for backgrounds and blending, you’re in for a pleasant surprise. See what can happen when sophisticated taupes, warm browns, rich creams, and contemporary grays take center stage. Urban Country Quilts - You’ll be thrilled to find quilts and other comforts in the chunky, funky appliqué style for decorating all year long! Inspirational Appliqué - This book contains 11 designs that inspire and encourage. The projects include wall hangings, table runners, a table topper and a pillow. Sew the Perfect Gift - Quilters and sewists alike will enjoy this fabulous—and amazingly varied—collection of stitched and quilted projects. Another Bite of Schnibbles - Quilters will find 12 beautiful pairs of small and large quilts made from convenient precut 5" and 10" squares. Patchwork Among Friends - Patchwork Among Friends by Judy Martin is a book of patterns, recipes, and ideas for enjoying your quilt making more--among friends. The book has 10 original quilt patterns, each in 2 sizes, and 12 recipes for potluck supper dishes. Stellar Quilts - Complete patterns for 13 star quilts. 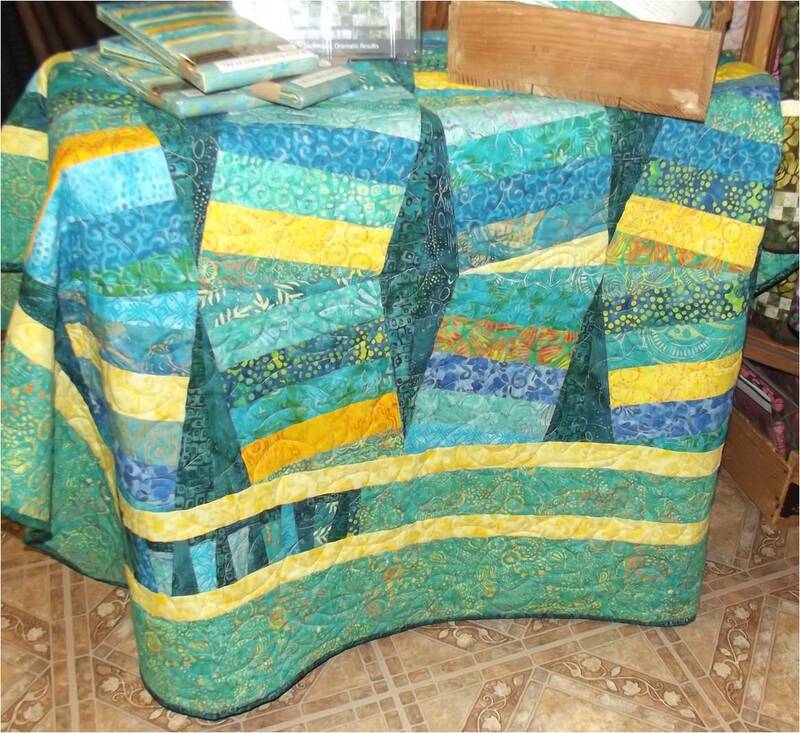 Each quilt is an original Judy Martin design.